Rising uncertainty surrounding the cost, and uninterrupted supply, of gas seems to have cast a cloud over the fertiliser industry as it starts 2014. Only last week, the government revived an increase in the gas infrastructure development cess for feed stock and fuel for the fertiliser sector. Perhaps the most talked about by industry watchers is the big increase in fertiliser feedstock, reportedly up from Rs197 per mmbtu of natural gas to Rs300 per mmbtu. GIDC on gas to industry and captive power plants (CPPs) was raised from Rs50 per mmbtu to Rs100 per mmbtu. Ameet Daulat, a research analyst at Taurus Securities, said post-GIDC, Engro raised it�s per bag urea prices by Rs178. Then, it emerged on Friday that Fauji Fertiliser also raised its urea prices by Rs155 per 20kg bag. A company spokesman reportedly lamented that the cess came despite the government having made various commitments with the enterprise. Other fertiliser companies (excluding Fatima Fertiliser, which is getting gas at a fixed rate) are also expected to follow suit. The cess, in line with the IMF�s conditions, is expected to net the government an additional Rs125 billion. Meanwhile, a major increase in prices of feed and fuel stock for the industry is still on the cards, as SNGPL has reportedly proposed 124 per cent and 30 per cent increases in prices of feed and fuel stock, respectively. And the SSGC has proposed a 14 per cent increase in feed stock prices for some consumers, excluding Fauji Fertiliser. This will likely lead to a Rs218 per bag increase in production costs, estimates the analyst. Meanwhile, multiple other make-or-break decisions concerning the industry are piling up in front of the federal government and its regulatory agencies. The primary among them is the granting of concessionary gas to Engro Corporation�s Enven plant. This decision is still pending with the Cabinet�s Economic Coordination Committee (ECC), which, in its latest meeting in November, reportedly asked the petroleum ministry to seek the input of the finance ministry, gas companies and the energy regulator � Oil and Gas Regulatory Authority (Ogra). Gas supply problems have been hurting the industry for a while now. This May, according to a newspaper report, four fertiliser plants on the SNGPL network decided to invest $100 million in a �long-term arrangement� to get gas from various lower capacity gas fields, to reduce their dependence on SNGPL gas. Sales performance in CY13: While the industry has been very vocal in airing its gas supply concerns, its sales and production statistics for 2013 (January-November) paints a somewhat different picture. Some individual companies in the sector were able to break their own sales and production records, and advance their respective market shares. For instance, Fauji Fertiliser said in its third quarter report that it had posted record high sales of Rs52.53 billion in the nine months ended September 30. The company was also able to increase its share in the di-ammonium phosphate (DAP) market to 60 per cent. The combined share of FFCL and Fauji Fertiliser Bin Qasim (FFBL) in the urea market went up to 47 per cent as well. Production trends: The industry managed to increase domestic production of urea in the January-November 2013 period (11MCY13) by 11 per cent YoY to 4.4 million tonnes, according to Shagufta Khurram at KASB Securities. 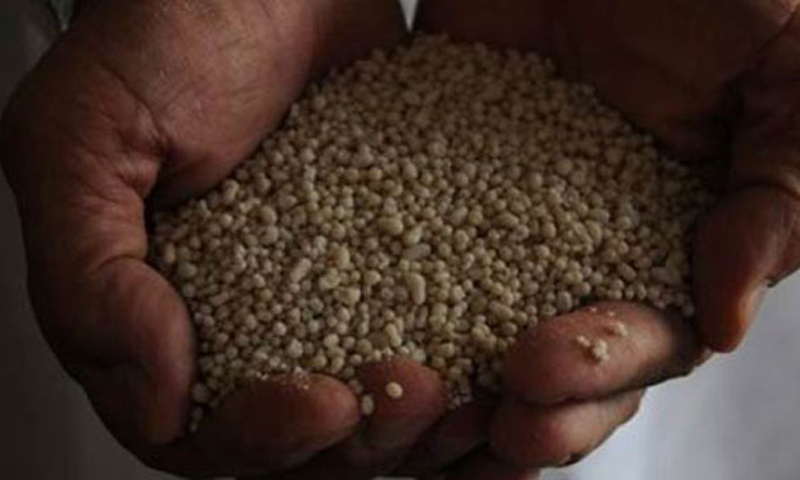 Production of DAP was up to 0.676 million tonnes. This corresponded with a big 50 per cent dip in urea imports during the period, which saved the country valuable foreign exchange. However, most of this increase seems to have come due to an upsurge in production at Engro Fertiliser, after both its plants started receiving an additional 60mmcfd in gas supply. Urea production at the company rose by a big 57 per cent YoY. Excluding Engro, the industry�s total urea production registered a meagre five per cent YoY increase in 11MCY13, according to Shagufta. Sales up on higher demand: Urea sales in the January-November period went up by 22 per cent YoY to about 5.22 million tonnes, while DAP sales rose 38 per cent to 0.406 million tonnes. She mainly attributed this to an �aggressive� increase in urea prices and a �mismatch in supply and demand�. On the sales prospects for this year, she and other analysts pointed out to higher expected demand for cotton post-GSP Plus status for the country, which would translate into rising demand for fertiliser from growers.